You’ve heard it before – that nagging phrase that makes you feel like you’re underachieving or stretching yourself too thin: Jack of all trades, Master of none. Yet, in today’s world of click-happy multi-tasking, that phrase is ringing less and less true. 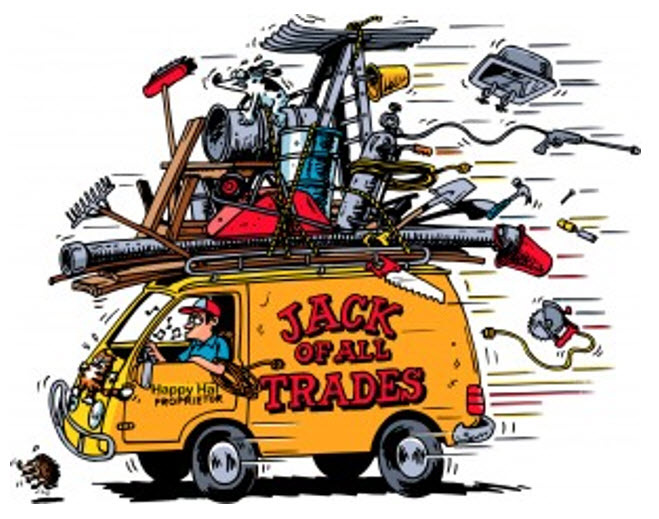 To be effective, the demand within organizations now seems to be for Jacks of all trades, people who can wear multiple hats in order to obtain a complete picture. Perhaps nowhere is this more obvious than within the IT Governance space. While there are certainly distinctions among and separations between administrative teams within IT (and for good reason! ), the team responsible for an organization’s governance and security program needs to be able to access and leverage all of those individual teams and their technologies to truly determine security and compliance levels, and curb potential threats. Are any of the PF’s open to security threats (excessive permissions, sensitive data with improper access assignments, etc.)? Are those threats the result of effective access? Who owns the PF, and are they aware of the people it’s available to? Are the folders being migrated to SharePoint locked down as tight as possible, even when considering effective access? The ability to have insight into security at all levels and across all resources – from Exchange to SharePoint, Active Directory, the file system, SQL, NetApp Storage Controllers, Windows Servers, and even into mobility applications like BES—is critical for anyone brave enough to wear the Security and Compliance Hat. The thing to remember, though, is that IT Governance Teams are still evolving and expanding to address security issues as folders move from Exchange to SharePoint (as above), and usually require the individual Exchange or SharePoint administrators to take on a governance role.